John Harris was born in 1969, and raised in Cheshire. 19 years later, he began writing professionally: though he had just begun his first year at college, the much-missed music weekly Sounds added him to their pool of freelancers, and he wrote his first cover story the following year. Sounds closed in 1991 – but after a brief spell at Melody Maker, he became a full-time writer at the NME, where he stayed until the summer of 1995. Fortuitously, this represented ideal timing: he was around for the birth of what became known as Britpop, and wrote reams about most of its key players: Suede, Blur, Elastica, Oasis. His April 1994 interview with the Gallagher Brothers, during which Liam and Noel all but came to blows, later achieved legendary status thanks to its release as a single entitled Wibbling Rivalry. 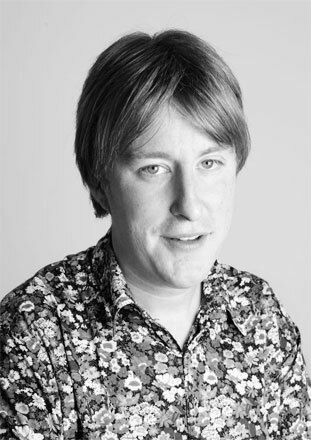 Having served his statutory three years, John left NME to become Features Editor at Q, and then Editor of Select magazine, before deciding to return – two weeks before his 30th birthday – to the life of a freelance writer. Since then, he has written about music for Q, Mojo and Rolling Stone, and contributed articles on a variety of subjects to the UK newspapers The Independent, The Times and The Observer. He now writes about politics, music and culture for The Guardian, and is a regular panellist on BBC2’s Newsnight Review. After 18 months of research and writing, his acclaimed first book, The Last Party: Britpop, Blair And The Demise Of English Rock, was published by Fourth Estate in May 2003. His second, a primer for disillusioned Labour voters titled So Now Who Do We Vote For?, appeared in January 2005. The Dark Side Of The Moon: The Making of The Pink Floyd Masterpiece was published in the USA, Brazil, Germany and the UK in 2006. And Hail! Hail! Rock’n'Roll, a compendium collecting “the music, the myths and the madness” – designed and illustrated by Hywel Harris – has just been published by Sphere.